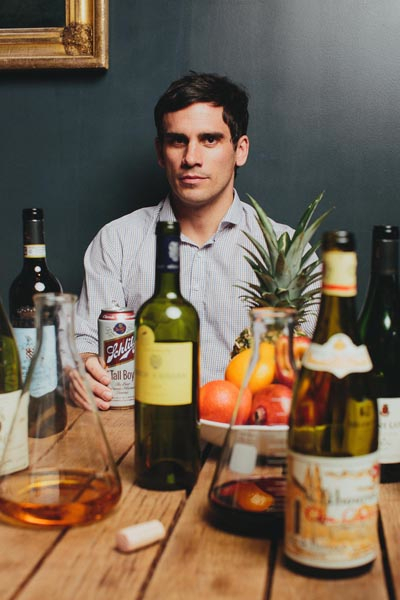 In this weekly column, Evan Mah asks Atlanta’s sharpest wine minds about all things vino. What’s Karthäuserhof? Eitelsbacher Karthäuserhofberg? Kabinett? If you don’t know, ask Steven Grubbs. On a recent Sunday afternoon at Empire State South, Grubbs is leaning into a booth, his sleeves rolled up to his elbows, revealing a dark tattoo sprawling down his arm. The subject of talk is Rieslings, a grape varietal from Germany noted for its high levels of acidity, complexity, and warm honey bouquet. And it is clear in this moment that nobody in this city loves this often-misunderstood grape more than he does. June 21 marked the beginning of the “Summer of Riesling,” a concept created in 2008 by New York restaurateur Paul Greico, who was determined to debunk Riesling’s reputation as “too sweet.” Greico hoped to change the public mindset by convincing restaurants across the country to offer several Rieslings by the glass for the entire summer. Grubbs and ESS owner Hugh Acheson met Greico at one of his wine bars in Manhattan, and they decided to bring the Summer of Riesling to Atlanta. While double-majoring in political science and English at the University of Georgia, Grubbs began working as a bus boy at Acheson’s Five and Ten in Athens. These days, Grubbs is no bus boy. In 2011, he was recognized by Food & Wine magazine as one to the top sommeliers in the country and in 2013, ESS was recognized as one of the best wine restaurants in the country, according to Wine Enthusiast. The wine director of both Acheson’s newly relocated Five and Ten and of ESS, Grubbs took a few moments to explain his “nerdiness” for Riesling. When did the thirst for Rieslings first strike you? Me and Hugh and the beverage director at National all got interested in Riesling at the same time, around ’08 or ’09. I remember the first time that I had an older Riesling; it was the strangest thing I had ever tried. At that point, nobody was drinking German Riesling. It was totally uncool. The bottle was from the late ’70s. My brain couldn’t even figure it out. It was totally strange and awesome and that was the moment that piqued my interest. At its core, what is the basic appeal of Riesling? So many wines are often stimulating in that they’re really delicious and easy to understand. Or they’re really intellectual and challenging. But Riesling—you can know nothing about wine, never even had wine before, and love Riesling. At the same time, you can know all the history of German Riesling and German wine and you can understand everything about terroir—and there’s just as much pleasure in either direction. In a more direct sense, they’re such great food wines. They’re super refreshing. They’re a lot more versatile than people think. Outside of Germany, what are the other top regions and what makes them distinct? Austria, Oregon, Australia, New York Finger Lakes, Alsace in France—they all have their own hallmarks. The Oregon ones are still looking for an identity. The German-style is very precise and detailed and their classification system is incredibly intense. You can tell that they’re being very German about it and trying to make it a machine that works really well—it’s so complicated. Lots of acidity to the German Rieslings. The stereotype is that it’s on the sweet side but that’s not really holding anymore. Austrians are typically a little dryer with a little more muscle and heartiness in the wine. The Alsatian style has a richer, country style—it’s a little funkier, a little wilder. It’s definitely more French. There’s a lot of variety within Germany too. Most of the world is starting to bend towards the dryer wines. The newer generations coming up in Germany are more interested in dry wine than sweet wines. In terms of food pairings, what do you like with Riesling? My immediate go-to is always pork. Pork and Riesling are like pork chops and applesauce. Pork likes a little bit of sugar so you can put a sweet wine on it. If you’ve got something spicy, Asian food is always an easy match. Rieslings work really great with seafood too. I’ve had oysters on the half shell with Riesling that was killer. Like I said, they’re more versatile than you think. Currently on ESS’s menu, what’s your favorite pairing? I think that the Farm Egg [with hot dog, chantrelles, crisp carolina gold rice, onion puree, and sea beans] is delicious with Riesling. You get that crackle from the rice, usually with some variety of sausage. I’ve got an older Riesling 2005 Spatlese from Rheingau, which has a little more power and round texture especially with age; a good opulence and texture, a rich viscosity that it awesome with the viscosity of the egg yolk. And then the acidity in the wine is great to cut all that. Right now you’re featuring three German Rieslings for the summer. How did you pick these three? I wanted to hit really awesome, traditional vineyards with a little bit of age on them. I’ve got a 2007, 2008 and 2005. I think the way to get people super intrigued is to give them a Riesling with some age on it. The wines are delicious young but they’re such unusual wines when they have age on them. It’s a good way to grab people. I know that one of your goals has been to get more people to like Riesling. Do you think you’ve been successful in that? I remember the first year that we were open. If I would show up with a bottle of Riesling, I would have to pad it with some explanation, apologies, or jokes just to break the ice because I knew people would bristle at it. Now I often find that when I try that approach, it’s unnecessary. For so long, people just thought that Riesling was a wine for amateurs or teenage girls. It’s such a big world and the more weird, strange things we can drink from it, the better.